The issue of awarding an economic development incentive reveals much as to why the Wichita-area economy has not grown. At the December 17, 2014 meeting of the Sedgwick County Commission an economic development incentive was considered. The proceedings are of interest as a window into how economic development works. The proposal was that Sedgwick County will make a loan to Figeac Aero in the amount of $250,000 as an economic development incentive in conjunction with its acquisition of a local company and a contemplated expansion. It’s likely the county will also participate in forgiving property taxes, although that decision will be made by the City of Wichita on the county’s behalf. Chronis also presented the benefit-cost analysis from calculated by the Center for Economic Development and Business Research (CEDBR) at Wichita State University. He said the proposed county property tax abatement has a value of just over $473,000, although the award of the exemption is controlled by the city. The present value of county’s cost over ten years, considering both the property tax abatement and the $250,000 loan, is $687,793. The present value of the benefit is just over $1,000,000, so the county’s net benefit is $317,834. Therefore, the net public financial benefit ratio to the county of 1.46 to one. Commissioner Richard Ranzau asked if the commission had in its possession the final form of the document. The answer was no. Chronis said that the document is substantially in final form, subject to some tweaking. Later questioning by Ranzau revealed that there are many parts of the contract that are not present. The agreement the commissioners had referenced the missing parts, such as a security agreement. Ranzau also brought up the fact that the commission had changed its policy so that forgivable loans are no longer used. Chronis said this is not a forgivable loan. Ranzau asked “what is it?” Chronis replied it is a loan. Ranzau asked if the company had to repay the loan. Chronis said if they don’t fulfill their end of the agreement, then yes, they will have to pay it back. If the company does not repay the loan, this is because the company has met the employment targets, and the county gets its repayment in the form of economic benefit to the community and to Sedgwick County government, he added. In the end, Chronis admitted that this agreement has the same elements of past forgivable loans, but is different because now there is better protection in case the company does not satisfy commitments. In support of the incentive, Wichita Metro Chamber of Commerce president Gary Plummer said he is here in a “positive environment.” He told the commissioners that staff worked very hard. He mentioned how much tax the company has paid to Sedgwick County. He said this is a great moment in Sedgwick County economic development history. Greater Wichita Economic Development Coalition Chair Gary Schmitt appeared to mention the return to the county in the form of tax revenue. 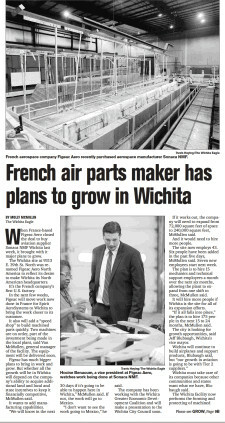 Commissioner Karl Peterjohn mentioned a newspaper article from May that quoted Figeac Aero’s vice president of business development as saying “the heart of Figeac North America will be Wichita.” Chase explained there had been personnel changes since then. Also, Chase said that Figeac hired a consultant that advised the company to inquire about “standard” incentives. When GWEDC did not supply an answer the company considered satisfactory, Chase said he was told “that starts the clock over. We’re going to begin looking at other locations.” The article Peterjohn referred to is French air parts maker Figeac has plans to grow in Wichita May 9, 2014 Wichita Eagle. There was a question about state participation in incentives. Chronis did not know what, if anything, the state would be offering. In further discussion, Ranzau said that Figeac has already bought a company here and is hiring. They have plans to be here, he said, meaning that the “but for” argument does not apply. 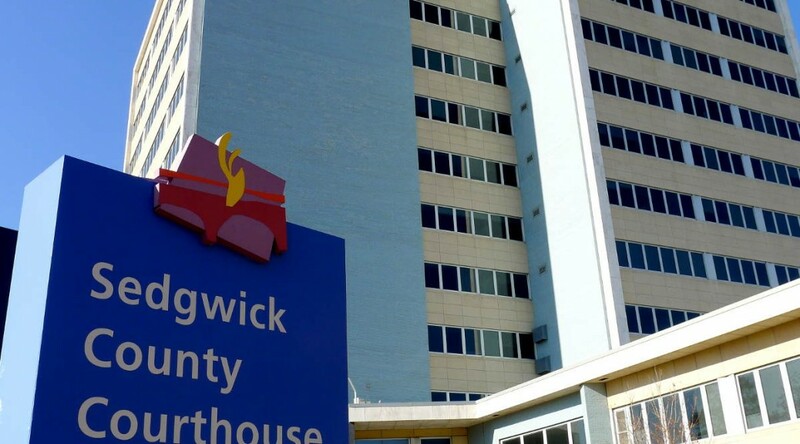 By his calculation, if the average salary was reduced by 12 cents per hour, that would amount to the value of the incentive Sedgwick County is offering, $250,000 over five years. He expressed his concern that the contract the commission is being asked to approve is incomplete, and that the City of Wichita has yet to vote on it. Ranzau made a motion that the item be tabled until the agreement is complete. That motion failed, with only Peterjohn voting in support. In his remarks, Peterjohn quoted a government official famously who said “you have to pass the document to find out what’s in it.” Peterjohn expressed concern that the analysis provided by CEDBR is based on numbers provided by the company. This qualification is standard, he said, and always a concern. The measure passed by a vote of three to two, with Peterjohn and Ranzau opposed. The labor force in the Wichita metropolitan area is about 298,000 people. The 50 jobs to be created in the first year by Figeac represents 0.017 percent of the labor force, or one job for every 5,960 people in the labor force. Another way to place the 50 Figeac jobs in context is to look at them in comparison to jobs created, not the labor force. In Kansas in recent years, job gains in the private sector are about six percent of employment. (Figures are not available for Wichita alone.) Employment in the Wichita metropolitan area is about 284,000. Six percent of that is 17,040. So the 50 Figeac jobs are now 0.29 percent of all jobs created in a year, or one out of 341 jobs. This illustrates a problem with targeted economic development incentives. Making deals takes a lot of time and effort. Three top officials attended the commission meeting, and they will likely attend the Wichita city council meeting where the incentive is presented. Much time of county staff was required. Our economic development agencies and local governments do not have the capacity to strike enough deals to account for significant job growth. A better strategy is to create an environment where business firms can form and expand organically, without requiring or depending on government assistance. The quotation from a newspaper article seven months old that described Figeac’s commitment to grow in Wichita raises suspicions of what is commonly alleged: That companies make location and expansion plans for business reasons. Then, some may seek incentives, even though the decision has already been made. Local economic development officials are eager to accommodate the request for incentives, as they need to justify their existence and notch a few sure wins. Most politicians, of course, are more than willing to take credit for creating jobs. The Sedgwick County commissioners had to make a judgment on the wisdom of incentives without knowledge of all the incentives the company may receive. The City of Wichita had not acted on a similar loan request and property tax abatements. The State of Kansas would not disclose what incentives it had offered to Figeac. We don’t know, but a program that Figeac may qualify for is PEAK, or Promoting Employment Across Kansas. This program allows companies to retain 95 percent of the payroll withholding tax of employees. This can be a substantial sum. Tables available at the Kansas Department of Revenue indicate that for a single person with no exemptions earning $40,000 annually, the withholding would be $27 per week, or $1,404 annually. For a married person with two children, withholding would be $676 annually. Under PEAK, the company retains 95 percent of these values. As is common, incentives are justified by a benefit-cost analysis that purports to show that more comes in to government coffers than goes out due to the incentive. But the “benefits” that go into this calculation are quite different from the profits that business firms attempt to earn. Here’s a question: In his presentation, the county’s chief financial officer said the benefit to the county over ten years is $317,834. What will the county do with that money? Will it reduce taxes by that amount? That is what would benefit the taxpayers that paid to provide the incentive. But that doesn’t happen. Instead, the benefit is spent. The benefits in the calculation are not really benefits. Instead, they’re in the form of projected higher tax revenues collected by governments. This is very different from the profits that private sector companies earn from their customers in voluntary market transactions. Government claims that in order to get these “benefits,” incentives are necessary. But often the new economic activity (relocation, expansion, etc.) would have happened without the incentives. Even if government collects more tax by offering incentives, it should not be the goal of government to grow just for the sake of growing. Why is it that many companies are able to grow without incentives, but only a few companies require incentives? What is special about these companies? Why do some companies receive incentives year after year? We’ve been told for many years that Wichita needs to diversify its economy. 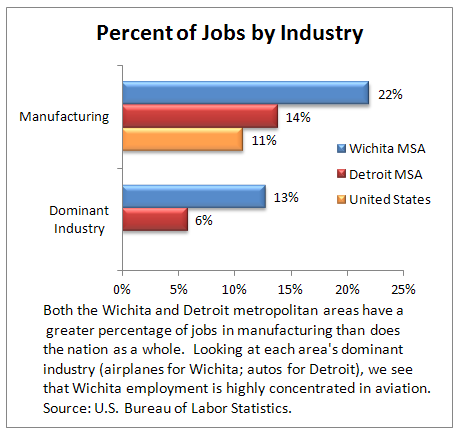 The Wichita economy is highly dependent on one industry — aircraft manufacturing — and Figeac is in the aircraft industry. When citizens have told the Wichita City Council that offering incentives to aircraft companies serves to make it more difficult to diversify, the president and chair of the Wichita Metro Chamber of Commerce complained in an op-ed: “Would the anti-business voices’ diversification strategy be to send aviation jobs to other cities and states, thereby crippling our economy? Where’s the logic in that?” This says a great deal about the problems with economic development in Wichita, namely that our leaders see no difference between business and capitalism, and that the need for diversification is merely a slogan that is not followed to in any meaningful way. The explanation by Chase spotlights some of the difficulties in economic development. The negotiations are not complete, but government approval is needed. More broadly, economic development officials are not negotiating the use of their own capital or capital that has been entrusted to them. They’re spending someone else’s money, for which there is little incentive to bargain wisely. Commissioners were told that Figeac is a successful company. Why, then, does it need incentives?